Varun Dhawan is undoubtedly Bollywood’s hit machine given his consistent success at the box office. Over the course of his career, he has played the quintessential romantic hero in the Dulhania series, a deeply angered man on the path of revenge in Badlapur, an emotionally vulnerable hotel management trainee in October, an out-and-out entertainer Judwaa 2 and so on. Someone who doesn’t shy away from taking risks, he has shown a terrific range by playing a wide variety of characters. 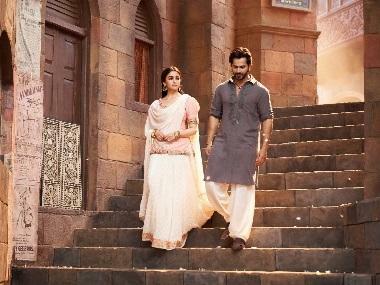 Now, he's raring to go with Kalank, Karan Johar’s period romance drama set in the pre-Independence era. “My character Zafar is very flamboyant, he has got this anger which goes from zero to 100 in just the snap of a finger. There are a lot of internal demons, turmoil, and baggage that he carries, but it was interesting to play a song like, 'Baaki Sab First Class Hai'. Then, I fight a bull which I won't get to do in any other film. It is a Hindi masala film about family, relationships, and events that took place during the 1940s,” says Varun. 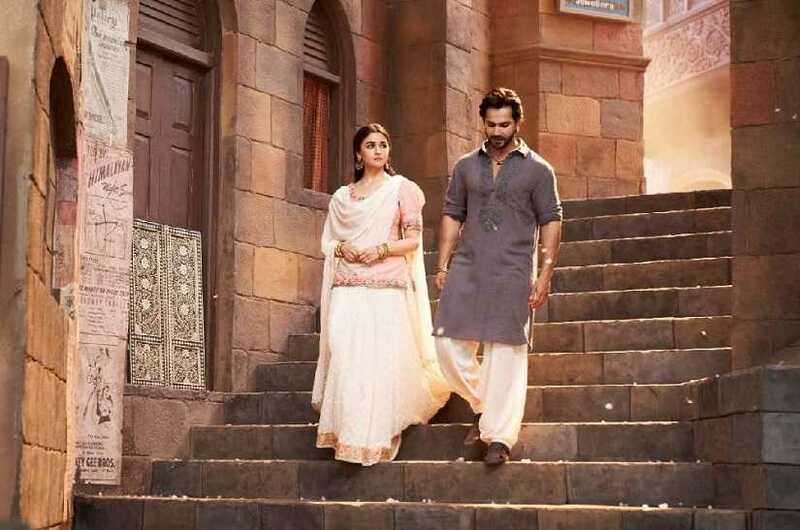 Kalank is Varun and Alia Bhatt’s fourth collaboration under the banner of Dharma Productions. The duo made their debut with 2012's Student of the Year and went on to star opposite each other in Humpty Sharma Ki Dulhania and Badrinath Ki Dulhania. 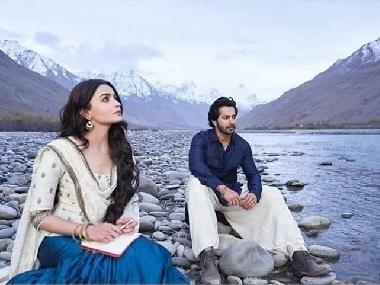 Although these films were lighthearted romances, Kalank is intense. "We had to be in our characters and Alia would shout at me if I disturbed her in between the takes. She would keep telling me to concentrate. Initially, both of us took some time finding our characters and the minute she found her's, she started helping me and giving me suggestions. That is when everything got set." Interestingly, while Varun’s all four Dharma-produced films have been with Alia, Alia was paired with other actors like Arjun Kapoor (2 States), Shahid Kapoor (Shandaar), Sidharth Malhotra (Kapoor & Sons), Vicky Kaushal (Raazi) and Ranbir Kapoor (Brahmastra) in the other five films she did with the production house. “With Dharma, if the pair is available easily, they make the most of it. Also, it is up to Karan. I have worked on two films with Shashank (Khaitan), one with Karan and now I am working with Abhishek. Probably my next Dharma film will be with Shashank. I’m very close to him. I have liked what Shashank and Abhishek have offered me so far. It also depends on how well you get along with other directors,” says the actor. One of the most loved couples onscreen, Varun and Alia who have managed to make a huge difference at the ticket windows, so much so that both claim to read each other’s thoughts not just in front of the camera, but otherwise too. “We are on that path where we know exactly what is happening with each other. Whenever I feel she might just lose her balance while standing or walking, which happens to her some times, I tell her to stop. Alia and I have known each other for too long, and sometimes, you just click with a person,” says Varun. Till the last year, Varun had an impeccable record with multiple hits in his filmography. However, during the past year, his pace suddenly slowed. Though his record of having no flops still stands, October didn’t really become a blockbuster, followed by Sui Dhaaga that had an average box office haul. At the same time, 2018 turned out to great for both Ranbir and Ranveer Singh which means currently there is now neck-to-neck competition between the three stars in the race for the next superstar of Bollywood. But Varun has an advantage over his rivals because he is the only one who has managed to crack both massy and classy. His contemporaries either have a fan base in classes (Ranbir and Ranveer), but don’t have a mass fan base, or like Tiger Shroff, they have won the masses over but are yet to break into the classes. Varun fits into both categories. “I have always been greedy in that sense. I can sense that now there is a digital audience too. You see shows like Made In Heaven and Sacred Games that have a massive audience and I recognise that. I do a film like October for that audience because when it premieres on digital, it does much better and I want my films to run at the box office as well. I want all these audiences. I have started my YouTube channel now where I want to put out parallel content. Digital is the way the world is moving today and definitely, when the time is right and when something interesting comes up, I would want to step into the OTT field as well,” he adds. After Kalank, Varun is set to reunite with Shraddha Kapoor in Remo D’Souza’s Street Dancer 3D and after its completion, he will begin work on the remake of Coolie No 1 in collaboration with his dad David. “You can expect a lot from Street Dancer. The music is superb, it’s an incredible cast and it was like coming back to the family. I had a blast doing ABCD 2 and I am having the time of my life doing this one. I am really waiting for it to come out." Was it disappointing when Katrina Kaif dropped out of the film? “It didn’t work out because of the dates. We were aware that she wanted us to move the shoot ahead but it wasn’t possible because a lot of other arrangements had already been made for the film and with other actors as well. At the same time, Shraddha joined the cast so I can’t complain because it is amazing to have her. She has made it work despite her super busy schedule. We are all more than happy," he states. Further, Varun cleared certain rumours around Coolie No 1 saying it is not a complete remake. “It is an adaptation but the screenplay remains the same. It is a new film. We should remember that there are generations of people who have not seen this film. I have been a huge fan of this film and have seen it innumerable times. I had loved its screenplay, it is outstanding. I have not seen such a wholesome entertainer at least in the last 15 years,” he says. However, he remained tight-lipped about the female lead. But there are rumours that Sara Ali Khan has been signed opposite him. “Let my dad make the announcement about the leading lady. He is the director and I will leave that to him,” said Varun. Coming to the Kalank director, this is Abhishek Varman’s second directorial after Alia Bhatt-Arjun Kapoor's 2 States (2014). “Abhishek’s process is very different. He is really obsessive about the kind of films he is making and how he wants to present the new age Hindi cinema. 2 States is a loved film but it didn’t get the best of reviews. I told him let’s not bother about that and make a film that hits people in the heart. Criticism is fine,” says Varun. While Varun says he did his own research to bring out that angst in his character, spending lot of time and talking to Varman helped him understand his role better. “Abhishek has a lot of angst in him that he keeps suppressed; he is a silent guy. When I went on the sets, he knew well in advance how my character should look, walk, and talk. I did one scene in which I smiled and my teeth could be seen, and he insisted that I don’t show my teeth even at the cost of looking arrogant. 'If the audience sees heart, it is fine,' he told me,” says Varun. “Abhishek kept telling me that I have to work on my eyes as there were lot of silent moments and eyes had to do a lot of talking. It has been very challenging for me. 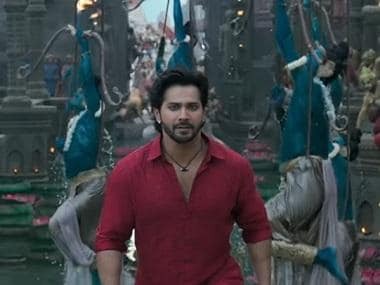 There is a back story to my character and after every two hours, I would be walking on the set of Hira Mandi (the recreated version of Lahore's Hira Mandi) with Abhishek and keep asking him about Zafar’s childhood because that was the only reference point for me to know the story behind the scenes,” said Varun. And was it difficult coming out of the intense character? “No, it wasn’t, it faded nicely. The character arc was good and so was the film’s culmination, which helped. It isn’t an open-ending character,” he said. Working in a multi-starrer means sharing a frame, and not every actor is comfortable with letting someone else steal his/her thunder. 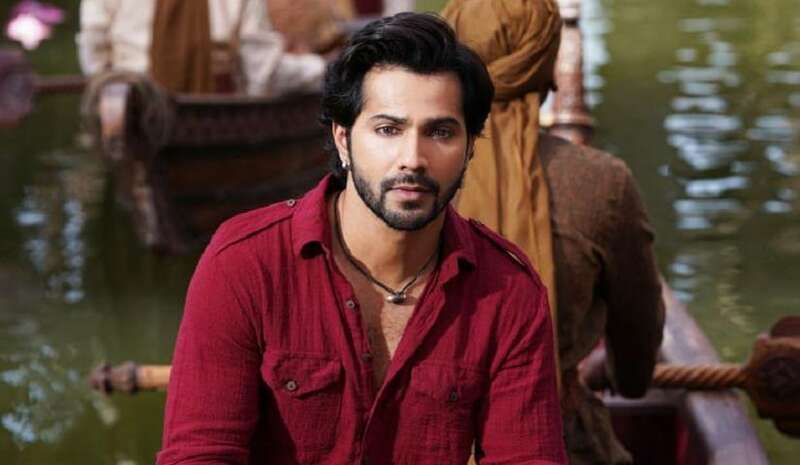 In an ensemble cast like Kalank, Varun, on one hand, was working with a senior actor (Sanjay Dutt) and a contemporary (Aditya Roy Kapur) on the other. Did he think about getting enough screen space? “Not really. When you hear the script, you know your role. Abhishek is a very honest person. He even trimmed everybody’s roles because we overshot quite a bit. But we are all okay with that,” he continues, "Sanjay remains the same, he is the least insecure human being I have met in my life. He is damn cool to work with. I have lot of scenes with Madhuri, some really long ones that I am really excited about that."